Just like all moms, I want the absolute best for my baby. My standards for products that I use on Olivia are extremely high - no phthalates (fragrance), parabens, sodium lauryl sulfate, and I reference the EWG's Skin Deep to verify safety of all ingredients. I refuse to take any risks with any endocrine disrupting chemicals, which are linked to just about everything - cancer, autism, diabetes, asthma, infertility, the list goes on and on (for more on endocrine disrupters click here). There are "greenwashing" product galore on the baby aisle. Products that contain the words "natural"and "organic" yet have slews of dangerous ingredients when you read the label. Marketers know that certain buzz words sell product and they use them carelessly. Perfect example: BabyGanics Soothing Daily Lotion that contains fragrance linked to irritation, allergies, and organ system toxicity. Grumble, Grumble. It is SO FRUSTRATING when you pay a premium for a product you think is pure and natural and then learn it's not - believe me, I have fallen for it over and over the past couple years!!! I recently found an amazing blog called Eco Friendly USA and am so grateful for the writer's research. 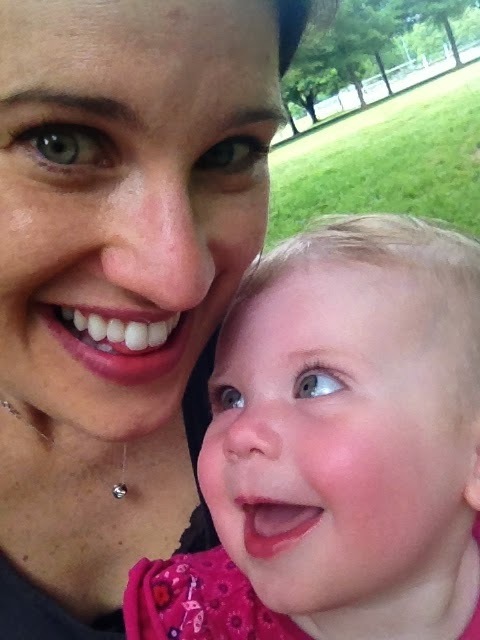 She is "a label-reading mama on a mission to find the safest products on the market" and I've learned a ton from her site. She lists products that are "greenwashers, somewhere in-between, and safe." Awesome, awesome resource to bookmark and follow on Facebook. This is a list of products that I really love, trust and swear by for my daughter Olivia, my 17 month old. Hope you'll try them out! 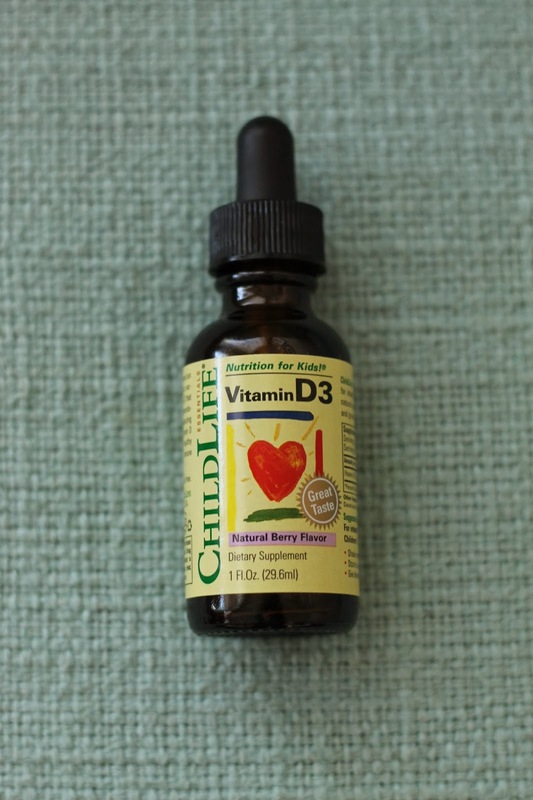 Vitamin D3 is crucial for optimal health and the American Academy of Pediatrics recently doubled the recommended amount that all children should receive. During the winter months we don't always get enough sun exposure and I found this product to supplement until warmer weather. Child Life brand is gluten, casein and alcohol free, contains no milk, soy, eggs, wheat, corn and is free of artificial colors, flavors or sweeteners. The dosage for Olivia's age is 8 drops and she loves the berry flavor. I bought our bottle at Whole Foods. 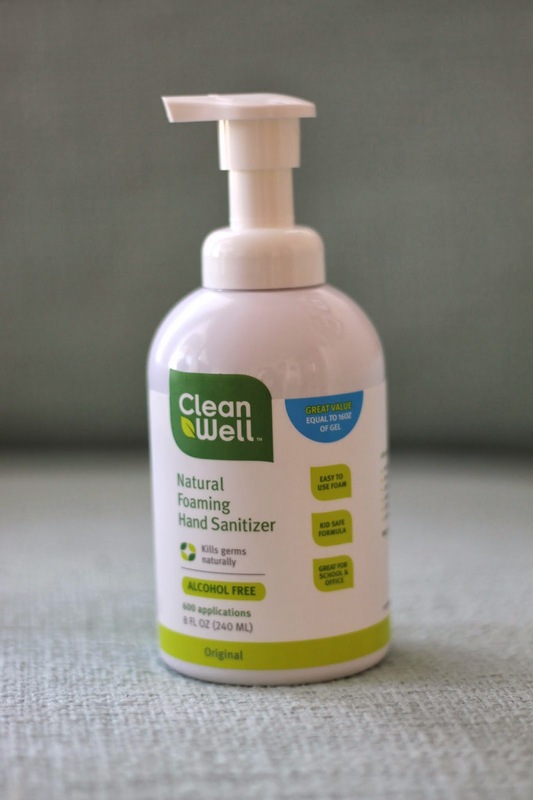 I learned about Clean Well from a segment I was listening to on NPR with the Founder and Chief Scientist Dr. Larry Weiss and have been hooked ever since - no more Purell for this household! Clean Well uses the antiseptic power of thyme to kill germs and is free of alcohol or any other harsh chemicals. It isn't gloppy, doesn't dry out your skin and won't sting cuts. Clean Well is kid safe and Olivia loves mimicking us rubbing our hands together. I bought my pump (which we keep at Olivia's changing table) at Whole Foods and also have a couple small pocket sized ones for my purse and car. Ana is an aromatherapist that I have gotten to know at our local farmer's market in Charlotte. I have fallen in love with every product she hand makes and appreciate her talent and drive. The Bee's Aid balm is my go-to ointment for any bump, bruise, cut or skin issue for Olivia. She recently had a run-in with the stairs and had a pretty bad gash and bruise by her eye - it didn't need stitches but was her biggest boo-boo to date. I was worried that it might leave a scar and religiously put this ointment on it - it was gone in FOUR DAYS. I was amazed and am so glad I have this balm in my armory! You can order directly from Ana on her website and while you're there try out her unbelievable body butter and shea butter soap, I'm addicted!! This is the #1 safest lotion on the market according the EWG Skin Deep website! 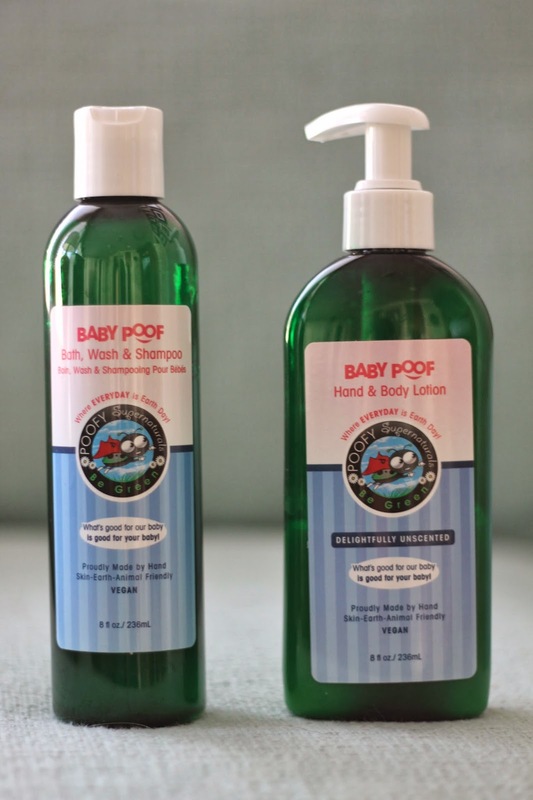 I've become a big fan of Poofy Organic products and am impressed by their certified organic ingredients and rave reviews - can't wait to try out more of their line. The bath wash and shampoo is extremely gentle and has a very sweet, subtle scent (all natural, of course!). Both the lotion and shampoo are $14 each and can be purchased on the Poofy Organic website. The product description on the NoseFrida cracks me up: "It's smart. It's Swedish. It's maybe a little strange. It's doctor invented and recommended." Hilarious! Being a Swede myself I love it :) This "snot sucker" gets the job done and I like how you can actually see the snot, not just assume it's in the big blue bulb. I'm guessing most babies dislike having their nose aspirated, so ideally a two person attempt works best. We bought ours at a local baby store called Shower Me With Love and it is also available on Amazon. Don't be intimated by this product - it's the best! We bought this Vick's alternative at the drug store when Olivia was under the weather and congested. It is made of all natural eucalyptus, lavender, chamomile, coriander, dill weed, castor oil with a coconut oil base. It is menthol and petroleum free and safe for babies 3 months and older. Maty's is safe, gentle, effective and the smell reminds me a little bit of the hippies from college (I was shocked not to see patchouli on the ingredients list). We put it on feet for relief! 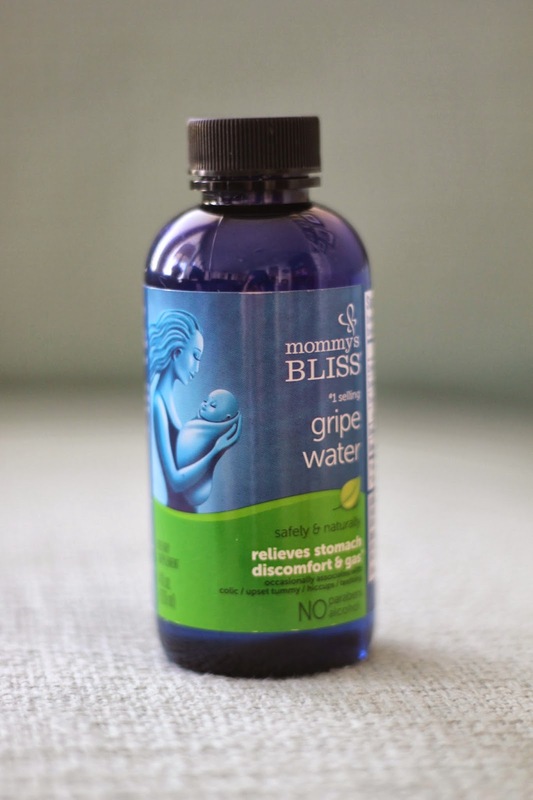 Mommy's Bliss Gripe Water is a lifesaver if you have a gassy, fussy baby. Digestive issues are very common in newborns since their systems are still developing. You feel so helpless when your little one is suffering with gas and this product saved many nights for us! I feel very comfortable with the ingredients of Mommy's Bliss: (From the website): "The fennel, ginger, and sodium bicarbonate have been known to be beneficial in easing nausea and discomfort due to baby stomach gas and other colic symptoms. Fennel and ginger are also effective for easing the discomforts of infant teething. Mommy's Bliss Gripe Water does NOT contain any of the following: gluten, starch, dairy products, wheat, yeast, dill, chamomile, alcohol, paragons, artificial colors, artificial flavors, binders, sucrose, fillers or petroleum based products." Olivia is thankfully past her colicky phase but I still give her gripe water for occasional hiccups (old wives tale says that hiccups mean they're growing!). We bought ours at the drug store and it is also available on Amazon at a really nice discount. I'm convinced this is the best diaper cream available and Olivia's bottom would prove it - not a single rash since we started using Ava Anderson diaper cream about 6 months ago! It's made of organic olive oil, calendula extract, organic shea butter, organic jojoba oil, lavender and essential oils - no harsh chemicals and it goes on thick. We will never be without it! $18.95 for a huge 8oz tub and you can order from this link. It took a cancer diagnosis for our family to get serious about clean eating and reducing our exposure to toxins. 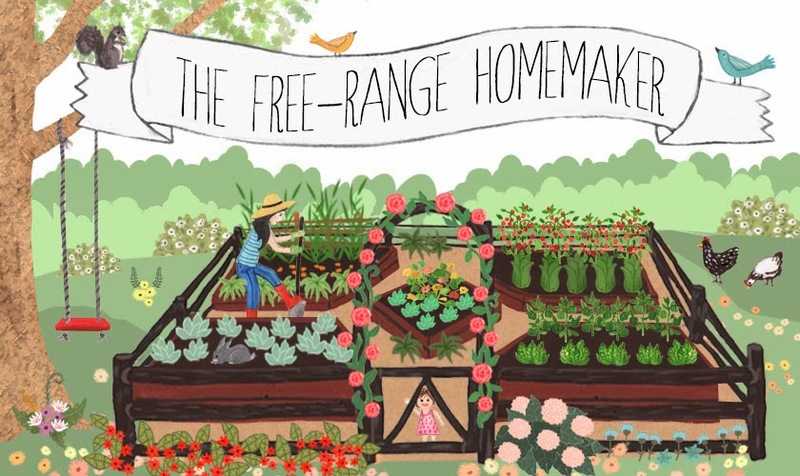 The Free Range Homemaker shares what we have learned and implemented, so you can be proactive about wellness too. Blog design by Cristina. Powered by Blogger.